As you’ve probably noticed, we’ve had a makeover. Our new look is the first of a number of exciting developments; we’ve also refreshed our website, and launched a brand new help centre. The help centre offers step by step user guides, helpful hints and new discussion forums which allow you to chat with the inniAccounts team and with fellow contractors and freelancers. 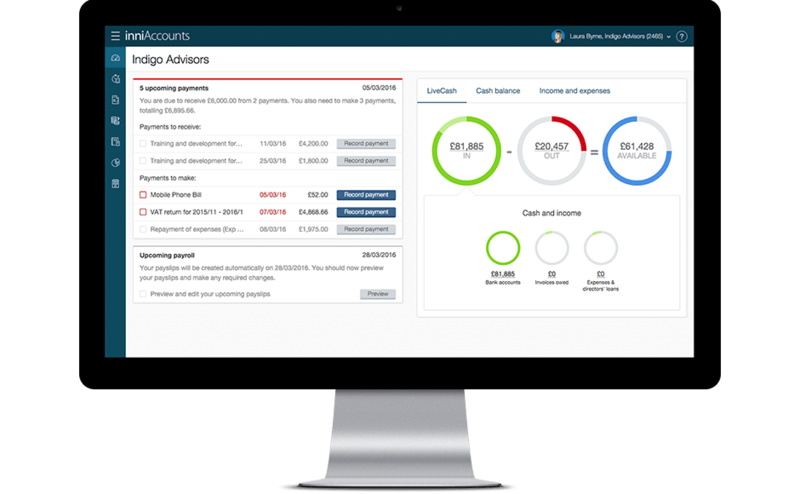 We’ve also been listening to your great ideas and we’re pleased to announce a major update to the inniAccounts software: we’ve improved the look and feel of all the major features, making them easier than ever to use, and we’ve launched a host of new, smaller features designed to make your managing your finances that little bit simpler. We hope you like our new look and enjoy using inniAccounts’ new features. We’d love to hear your feedback on these latest updates.